Eastvale is one of the newer and most sought-after communities in the Inland Empire region of Southern CA. It was formed in 2010. The population of Eastvale CA in 2012 is about 54,600. The median age of the residents of Eastvale is 30.9 years. The school district is the Corona Norco Unified School District. Most of the public schools in the city are highly rated. Eastvale is a beautiful city with lots of great neighborhoods. One great aspect of this city is the low crime index. Some of Eastvale’s most distinguishing features are its location - close to major freeways going into Orange and LA Counties, its wide streets, new shopping areas, new schools and new communities. It’s a great place to live – to raise a family – or settle down in retirement. Eastvale has a wonderful public park, River Walk Park, that features: walk and running paths, is dog friendly, horse trails, a unique Frisbee Course, wonderful play area and more. 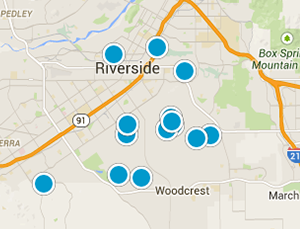 Real estate in Eastvale is sought after because of its beautiful neighborhoods and the convenient location. Many residents here commute to LA and Orange Counties.